Today it may be hard to believe, but back in the day Cape Town’s gay clubs and bars were sought after party destinations for the rich and famous all over the world. 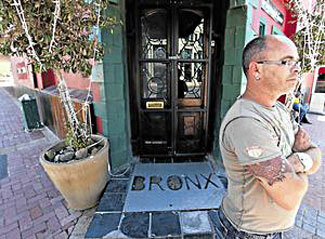 But that all changed just before valentines day in 2012 when Cape Town’s gay community were in shock over the murder of Bruno Bronn (aged 50), the owner of the most famous and popular gay club Bronx Action Bar. The news of Bronn’s death spread quickly through social networking sites and the gay community. 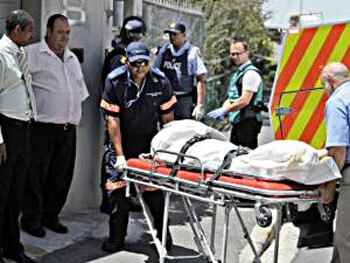 Social networks were abuzz with news of his death after Bronn’s body was discovered at his Sea Point home by a domestic worker on a Tuesday morning. His hands had been tied and there were marks around his neck, suggesting that he was strangled. Hundreds of messages of condolences expressing shock and sadness at Bronn’s death have been posted on Facebook. “He was found lying on his back on the floor, with his hands tied with tape in front of him,” police spokesperson Warrant Officer November Filander told media. Immediately there were also rumours that there are suspects in the murder and that police are looking for two men. At Navigaytion, the other club owned by the deceased, DJ Dawid Human told media that Bronn was scared and traumatised because someone was harassing him. “I think I know who it is but I can’t say,” Human was quoted as saying. “He was a very lonely person since his partner died, at least now they will be together and he won’t be lonely.” “I am at a loss for words. I know there is nothing for me to say that will make the loss of our dear friend and boss easier,” wrote popular DJ and Navigaytion manager Ari Nitzan on the Navigaytion page. ” He is finally getting some rest now. He feels no pain because he is in a better place,” added Nitzan. A neighbour reported hearing a commotion from Bronn’s house on the Monday night. Bronn’s domestic worker stood with police for hours, occasionally going into the house. She declined to speak to the media. Jakoba Marcus told the court the first thing she noticed on her arrival for work at his Sea Point home on February 7, 2012, was that his two dogs were on the veranda, instead of being inside with Bronn. Marcus told the court: “Usually, when I arrive for work, the deceased was still asleep, with the dogs lying with him on his bed.” She said she had a key for the front gate, and the front door was closed, but unlocked, to give her access to the house. She added: “When I went inside, I saw that the door to the pool outside was closed, and the curtains still drawn – both the door and the curtains were usually open to allow the dogs out to go to the toilet. She told the court how she had gone back to the veranda in a state of shock, wondering what to do. She first tried to alert the neighbours, but got no reply, and she then stopped a passing security patrol vehicle. She said she asked the driver to accompany her back into the house, to see where the deceased was. The security officer went into the room and said to her: “Madam, there is a man lying in the bedroom – I think he’s dead.” She then went into the bedroom herself, to make sure it was Bronn, she said. She said someone worked for Bronn as a handyman, and had a key to the house. Former policeman Mervyn Stewart Bezuidenhout, the original investigating officer in the case, said his first lead was a woman neighbour who had seen Coetzer, the so-called “handyman” on the premises on the night of the murder. She knew Coetzer was Bronn’s friend, and he had driven away in Bronn’s car on the night, Bezuidenhout said. Bezuidenhout said he later received information that Coetzer was at his home in Goodwood, with Bronn’s car, and that Coetzer used drugs, bought at an address in Maitland. Another police official went to the Maitland address and seized Bronn’s cellphone, which Coetzer had exchanged for drugs. Within days Police spokesman Warrant Officer November Filander said police had arrested a 36-year-old in Bo-Kaap following a tip-off, and another suspect was arrested in Salt River on the following Saturday. 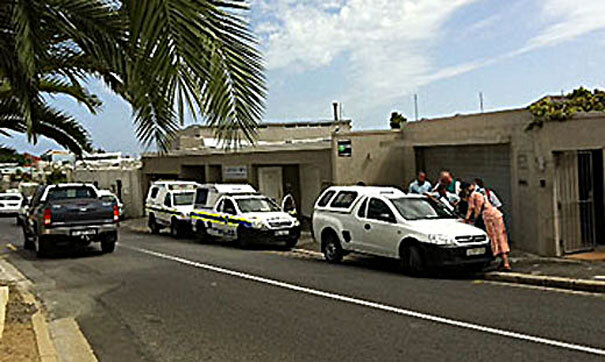 Filander said a third suspect was arrested in Brooklyn and that Bronn’s BMW had been recovered at a complex in Milnerton. A fourth suspect was arrested in Goodwood. He said police had seized a vehicle thought to have been used in the crime. 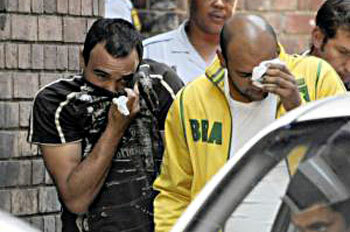 All four suspects was charged with murder and appeared in the Cape Town Magistrate’s Court. Bezuidenhout said Allie was the first to be arrested for the murder, on Wednesday afternoon, February 8 . “Allie had been seen in the deceased’s vehicle with Coetzer on the night of the murder, and this information led to Allie’s arrest.” Bezuidenhout said Allie made a statement, which implicated Toffa as having been in Bronn’s car with Allie and Coetzer. Murder accused Achmat Toffa, 36, of Bo-Kaap, has been charged with illegal possession of a firearm and ammunition after having been arrested in Maitland on September 8. He said Toffa was arrested that Saturday night, and Erispe on the Sunday. Bronn’s car was recovered on the day that Coetzer and Allie were arrested. 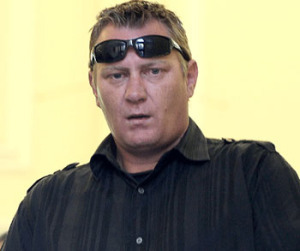 He said Coetzer and Allie blamed each other, but both denied the “act of murder”. Bezuidenhout said he was called to Bronn’s home on the morning after the murder and found Bronn on the floor with a cloth over his body. Police were already there. Bezuidenhout established that Bronn’s cellphone, car and laptop were missing. Frederick Willem John Coetzer, Fareez Allie and Achmat Toffa have pleaded not guilty before Judge President John Hlophe and assessor Jaco van Reenen, a retired chief magistrate, to charges of premeditated murder and robbery with aggravating circumstances. Coetzer was out on bail of R20 000 and Allie on R5 000. Toffa’s bail of R15 000 was withdrawn because he failed to adhere to almost all of his bail conditions, which included reporting to the police daily and remaining under house arrest. He was being held at Pollsmoor Prison. Nell said in court that Bronn had complained that Coetzer repeatedly harassed him, and had said he was terrified of Coetzer. Coetzer said Bronn was in fact terrified, but not of Coetzer. He added: “The first time that I ever heard that he was terrified of me, was here in court. Questioned about the happenings on the night in question, Coetzer said he visited Bronn to discuss problems concerning traveller’s cheques. He was dropped near Bronn’s home by his co-accused. Bronn answered his knock on the door, after he noticed on the surveillance monitor that Erispe’s car had stopped in front of the house. Inside the house Bronn had “rolled himself a joint” as they discussed the cheques. Coetzer and Bronn walked to an outside guest room, when Allie suddenly appeared and passed a small firearm to Coetzer with the words, “Keep him here and keep him quiet”. Coetzer said Bronn saw the firearm, and started to panic. “I told Bruno not to worry, to trust me, and that I would not harm him. I tried to remove the bullets from the gun to prove to him that I would not harm him,” he said. He said Bronn got a fright when Allie suddenly appeared and gave Coetzer a firearm, with the words, “keep him (Bronn) here, and keep him quiet”. “Bruno tried to push pass me, and I grabbed him to stop him because I knew we would be harmed if he went back into the house. The bullets fell to the ground, and Bruno started to wrestle and fell against a chair.” Coetzer said he threw Bronn to the ground and put his arm around his neck to calm him. 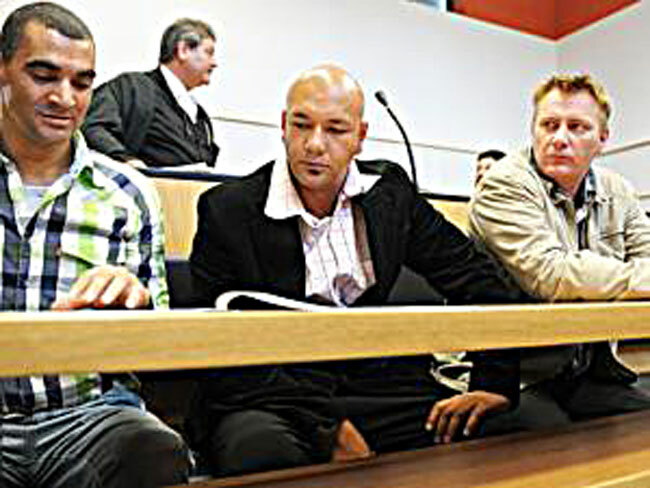 Coetzer was asked how he injured himself at Bronn’s home on the night in question. “My injury happened when Bruno stumbled as we struggled, and we landed on the floor wrestling. I remember glass breaking, but don’t know if it was a vase or what it was,” he said. Coetzer was shown a police photograph of the room in which the struggle had taken place. He pointed out certain objects in the room, including a carton containing narcotic drugs. He said Bronn had smoked dagga and the drug known as cat (methcathinone), and people told him that Bronn had also smoked tik (methamphetamine). Coetzer said he thought that Bronn was still alive when he left Bronn’s home in Bronn’s car. 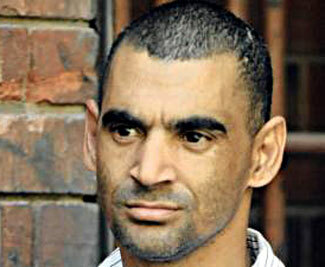 Coetzer said he drove to Toffa’s home in Brooklyn and, after parking, tried to phone and send sms messages to Bronn. 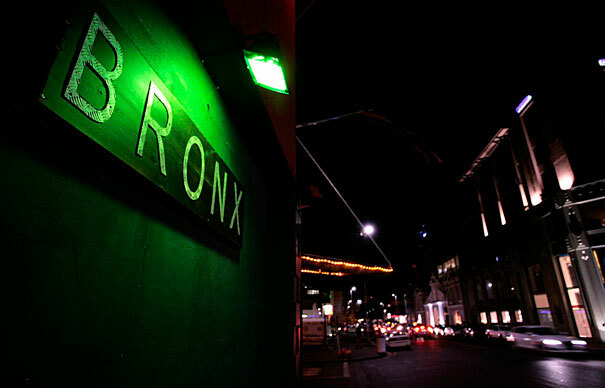 Three men accused of killing a gay nightclub owner, Bruno Bronn, often partied together with the drug tik. 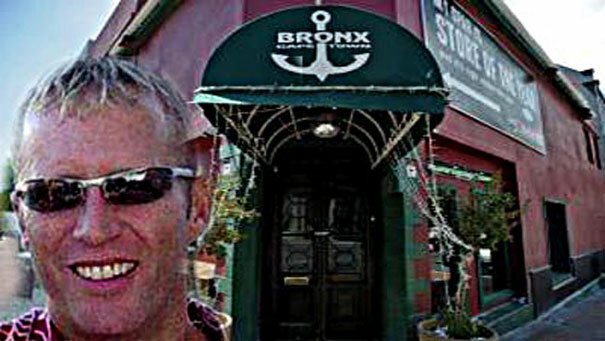 The three men accused of killing gay night club owner Bruno Bronn often partied together with the drug tik, the Western Cape High Court heard. 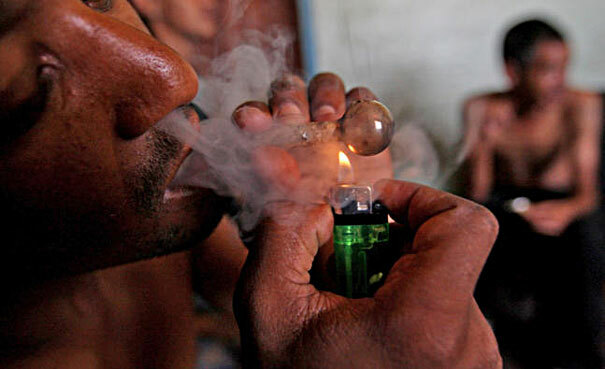 One of the three men, Achmat Toffa, rented a room in an apartment leased to tenant Monica Isaacs, who occasionally smoked tik with them, she told the court. Questioned by prosecutor Carien Teunissen, Isaacs told the court she knew Toffa by his nickname “Boy” and Coetzer as John. Allie and his wife had often visited Toffa with their baby daughter, she said. Coetzer had never explained why his relationship with Bronn ended, she said. The day after the murder, Coetzer approached her with Bronn’s laptop, one of the items allegedly stolen from Bronn’s Sea Point residence, and asked her if she could sell it for him. Isaacs said she offered it to another resident in the apartment complex where she lived, Dawn Bailey, who wanted it for her daughter and was willing to pay R700 for it. Coetzer wanted R800, and Bailey later paid the extra R100. Later in proceedings, when Bailey testified about buying the laptop, she stepped into the witness stand without a jacket on. Hlophe told her to ensure she was properly dressed the next time. Cross-examined by Scott, she said Toffa often had friends visiting, and they would smoke tik in his room. 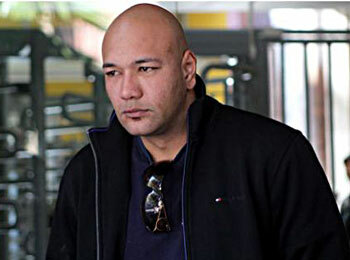 Scott told her that, according to Coetzer, Toffa was the supplier of drugs, and that Coetzer often visited Toffa to obtain drugs to take to The Bronx.